ELKHART, Ind. — During a town hall meeting in Indiana on Thursday, Barack Obama cited the Bible as being one of his reasons for his stance that boys who identify as girls should be allowed to use the girls’ restroom. During the event, Obama was asked by attendee Arvis Dawson why he seemingly has made the issue a priority in his administration. “I’m a strong believer in equal rights for everyone—a very strong believer in that. I was wondering, though, with all the pressing issues you have before you right now, why is the issue of which bathroom a person uses such an issue?” he asked. He proceeded to explain that schools across the country had been contacting the Department of Education to ask how the matter should be handled now that students are increasingly coming out as transgender. 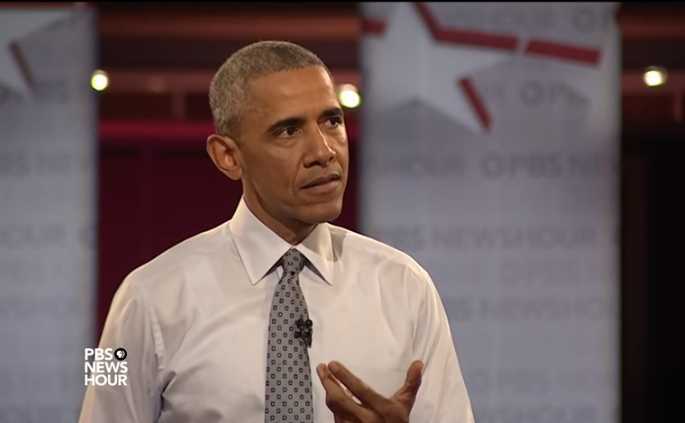 Obama then stated that he understands those who have religious objections. Dawson explained that because of his church background, he believes people should continue to use the restroom they always had been using. In the Scriptures, Christians are instructed to be kind, but to help turn their neighbor from sin rather than accommodate it. “And the servant of the Lord must not strive, but be gentle unto all men, apt to teach, patient, in meekness instructing those that oppose themselves—if God peradventure will give them repentance to the acknowledging of the truth and that they may recover themselves out of the snare of the devil, who are taken captive by him at his will,” 2 Timothy 2:24-26 reads.